75050 is rated 4.8 out of 5 by 26. Complete the look of your bath with this Victorian Pivot Arm Toilet Tissue Holder. Delta makes installation a breeze for the weekend DIYer by including all mounting hardware and easy-to-understand installation instructions. You can install with confidence, knowing that Delta backs its bath hardware with a Lifetime Limited Warranty. Rated 5 out of 5 by Thomas from Easy installation, looks great This is the easiest tissue holder installation ever. The unit is self-aligned, so precision measuring or templates are not required. Works perfectly and looks great (we used Polished Brass)! Also, there is no chance this one will fall off the wall like the Big Box Store versions. 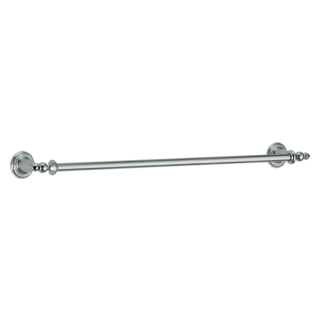 The Delta attachment system is rugged and allows minor adjustment for easy and permanent mounting. Rated 5 out of 5 by vnuchka from Elegant and beautiful! I bought the entire set in Victorian Brilliance Stainless (looks like brushed nickel), and this Tissue Holder is my favorite! So classy. It's a little wider (4 3/4") than today's toilet paper rolls, but it works fine, and you change the rolls just by lifting up the right end of the bar - couldn't be easier. I love it! Rated 5 out of 5 by Architect from Delta 75050 Champagne Bronze Victorian Pivoting Tissue Holder Excellent quality, heavy duty. Rated 5 out of 5 by gabby1 from Works so well!! I bought this a month ago for my bath remodel and it is beautiful! Has a great feature that makes it so easy to change the toilet paper rolls!! Rated 5 out of 5 by paynekl from Beautiful and so easy to use. The pivot design is so much easier to use. No more exploding spring-loaded holder. Have recommended this new design to family and friends. No cons. Rated 5 out of 5 by linda64 from Elegant & beautiful I love the Delta Victorian Pivoting Tissue Holder. It is beautiful and elegant and so easy to change the toilet paper. Rated 5 out of 5 by Mia from Best Designed Paper Holder Ever! Revolutionary, easy to change paper holder. Just lift up the lever and slide a new roll on! I love it, our clients love it! Beautiful in the Champagne Bronze finish but any color would be nice. Pretty feminine curved backplate makes it stand out. The pointed end of this toilet paper holder became stripped and fell into the trash before we realized it . Am I able to order that part? Or could you replace the holder as it is a defect and not normal wear and tear as it is not a moving part. Thank you! What models have the same screw spacing as this--I can only drill so many holes in the wall! The screw spacing on the replacement product does not match the original! Thank you for your question. 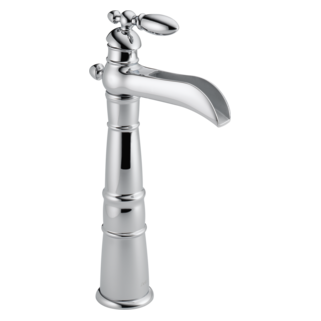 Delta Faucet model # 75050-RB does not have another model that will match exactly to the holes of this model. We recommend using one set of holes and patching the other set before drilling new holes. I also had the screw on the end fall off and would like to order that piece of possible. Can you help? how does the pivot arm work? Hi My kids lost some parts to the 75050-rb. It is an older model with 7 inch spacing from side to side but a full 1 1/8 inch spacing between the (centers of the) vertical holes on the mount points. Your newer model shows a different mounting mechanism and spacing of the screws, being on 7&quot; by 3/4&quot; centers. So to use a new mount I have to drill new holes in the tile which is not stable to do so close to the old holes. So I simply need the cross beam assemble, more specifically a part of the cross beam assembly. I don't see a parts diagram but don't need and can't use the full new assembly. What do you have that can work? Thank you for your question. 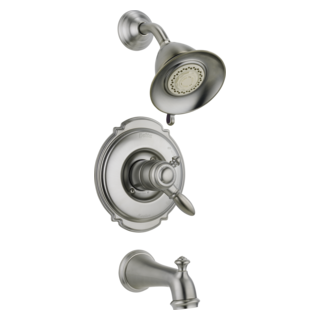 Delta Faucet model # 75050-RB does not have separate parts that can be sent out. If you have missing parts, the whole tissue holder will need to be replaced. Can i mount without back pate?